Salesforce.com is hoping to set the standard for how government bodies deliver online services to citizens using mobile devices. The cloud-based software vendor on Wednesday announced Rapid Response 311, a mobile application that citizens can use to log and track requests for service; Mobile Communities for Government; Government Social Command Center and Mobile Platform Services for Government. 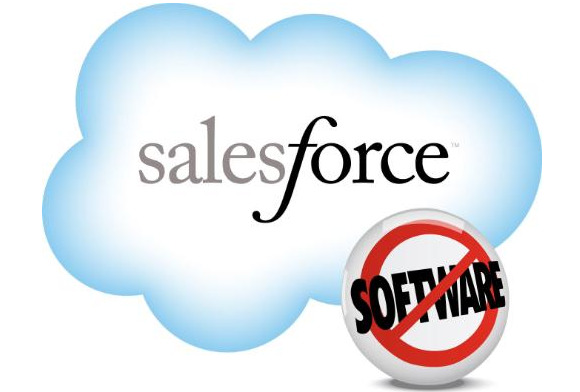 The offerings are based on existing Salesforce.com products, such as the Service Cloud customer-service application and Radian6 social media monitoring technology. Government bodies would work with Salesforce.com partners to customize the products to fit their particular audience, said Daniel Burton, senior vice president for government transformation, in an interview. Salesforce.com has been pushing the idea that companies can and should build closer relationships with their customers using its technology. And government entities have plenty of customers in the form of the citizens they serve. Rapid Response 311, for example, could be used by a citizen to report a pothole to a city department, whereupon a customer service representative would add it to a list of requested fixes, according to a demonstration of the application. Citizens could check up later on the status of their requests. Salesforce.com’s social media monitoring software can provide a sense of hot topics citizens are discussing in their areas, while the Communities product allows for the creation of forums where government officials can interact with citizens as well as each other. While Wednesday’s announcement is aimed at government bodies in the U.S., where Salesforce.com already has more than 500 government customers, there’s no reason governments anywhere in the world couldn’t build out similar offerings, Burton said. Some government agencies have services of this kind already, but many were custom built, said analyst Ray Wang, CEO of Constellation Research. Of all the products Salesforce.com announced, “Rapid Response 311 is the most promising and mature,” he added. While Mobile Communities is in its early days, it also has promise, he said. Government Social Command Center, the rebadged Radian6 social monitoring product, “needs a natural language processing engine before it’s useful, but it’s conceptually sound,” Wang said.